Amazon Mom Members can currently get a FREE $15 Amazon gift card when you purchase one selectbox of Pampers diapers and use the code PAMPERS15 at checkout. Just go here to check out the participating boxes. Plus, many of these boxes qualify for a $3 coupon. To get the additional discount go here and clip the $3 coupon. Then come back to this link and click on the “Add to Cart” button for both the Gift Card and Diapers you’d like to purchase. Add them to your cart and use the code PAMPERS15 at checkout to receive your $15 Gift Card FREE. Shipping is free on $35 or more or get FREE 2-day shipping with Amazon Prime or when you Subscribe and Save. You can print a rare $1/1 XTRA 144oz or larger or two 75oz or smaller XTRA, XTRA Nice 'n Fluffy Liquid Fabric Softeners or XTRA Sure Shots coupon (exp 5/17). Then check this deal out at Walgreens! Today only at Old Navy you can get these Women’s Lightweight Sleeveless Tops for only $10 (regularly $22.94!) both in-store and online! There is a limit of 5 per customer. Also note that you can save 35% off your online purchase today only with the code HUMPDAY; however, this code excludes Clearance, Baby & Kids Styles, Everyday Steals and Hot Deals merchandise. You can also save an additional 15% off all baby and kid’s purchases at OldNavy.com with the promo code COOL at checkout! Shipping is free on orders of $50 or more. 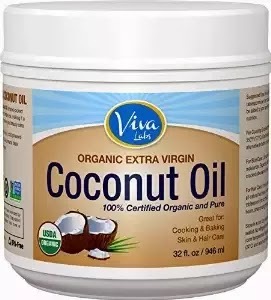 Right now on Amazon you can get this HIGHLY RATED Viva Labs Organic Extra Virgin Coconut Oil (32-ounce) for only $14.89 shipped when you clip the $1.50 coupon and then choose Subscribe & Save (on the right)! Through May 17th you can get $5 off of 2 entree's at Outback Steakhouse! Just print this coupon for the additional discount. 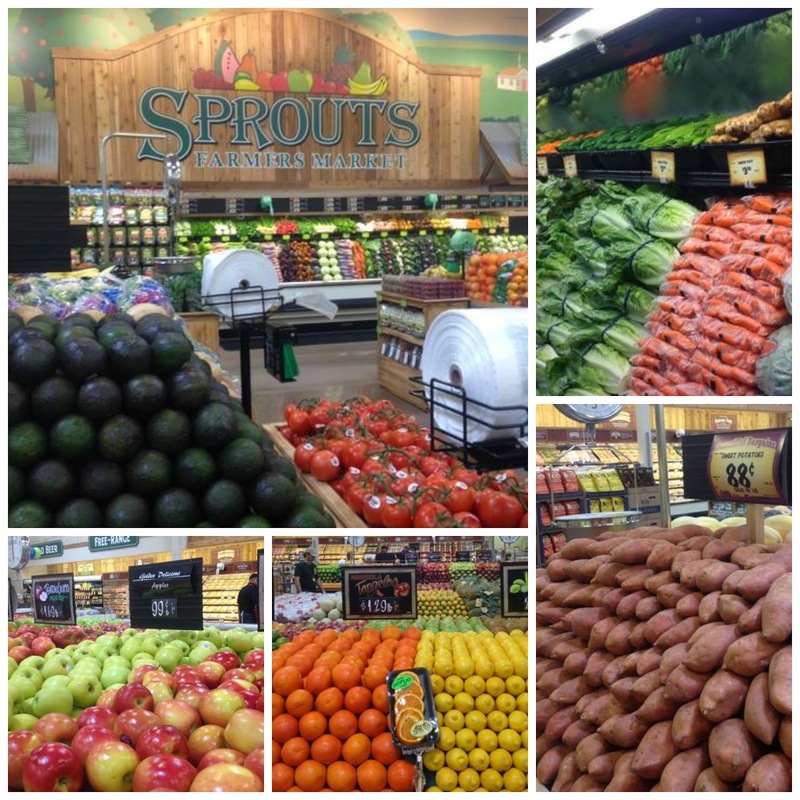 Whether you're online or in-store, Sprouts makes it easy for you to save! Put more money in your pocket while you're putting healthy meals on your table with weekly specials, coupons, promotions and more. Save on hundreds of items each week! The ad is delivered either through the mail or in your local newspaper. You can also subscribe to the weekly e-circular to get your ad delivered to your inbox every Tuesday. Or, access the ad directly on sprouts.com, where it is posted each Tuesday afternoon. Because Sprouts weekly ad prices run from Wednesday to Wednesday, you can save the most in the middle of the week when the ads overlap. 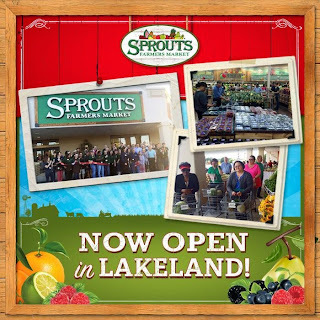 Shop Sprouts on Wednesday for twice the savings! Don't miss Sprouts’ Deals of the Month flyer, found online or in-store, for more great savings. Look for signs throughout the store indicating what is on sale. There are typically 2,000 or more at any given moment. Sprouts is famous for special promotions, such as 72-Hour Sales, Vitamin Extravaganzas, Frozen Frenzies and Sprouts Brand Sales. New and exclusive Sprouts ready-to-print coupons are available at sprouts.com. 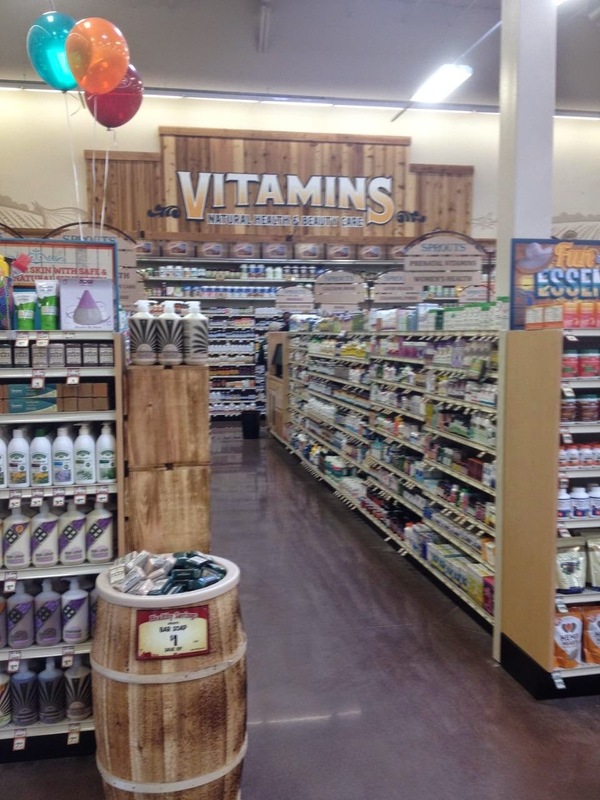 Sign up to stay up-to-date on all of Sprouts’ promotions and contests! You'll also receive the monthly newsletter with exclusive coupons and news. Spend $100 on vitamins and supplements and get a 10% discount off of your total purchase. Save 10 percent when you buy any six bottles of wine. Stock up to scoop up more savings! You can save a lot of money buying beans, grains, pasta and other pantry staples from the Sprouts Bulk Department. 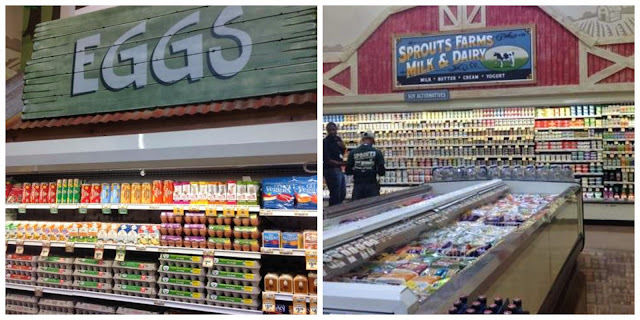 Whether you're shopping for everyday essentials or exploring the aisles to try something new, you can't miss Sprouts Brand products sprinkled throughout the store. Sprouts buyers go to great lengths to source new and unique, top-quality items on a regular basis – so you're bound to find new favorites every time you shop. 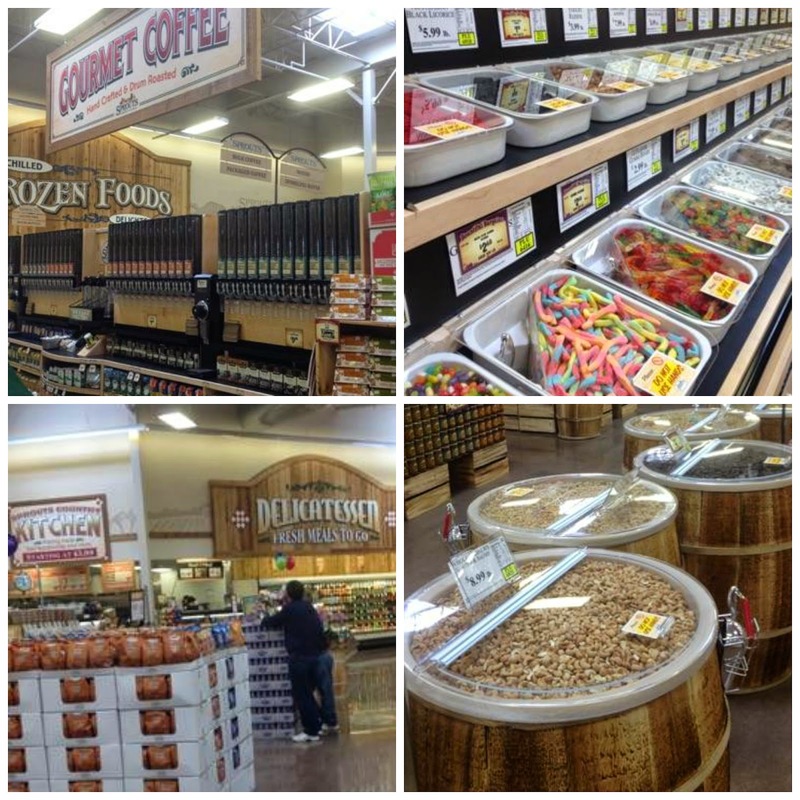 Sprouts Brand has everything you need – for less! 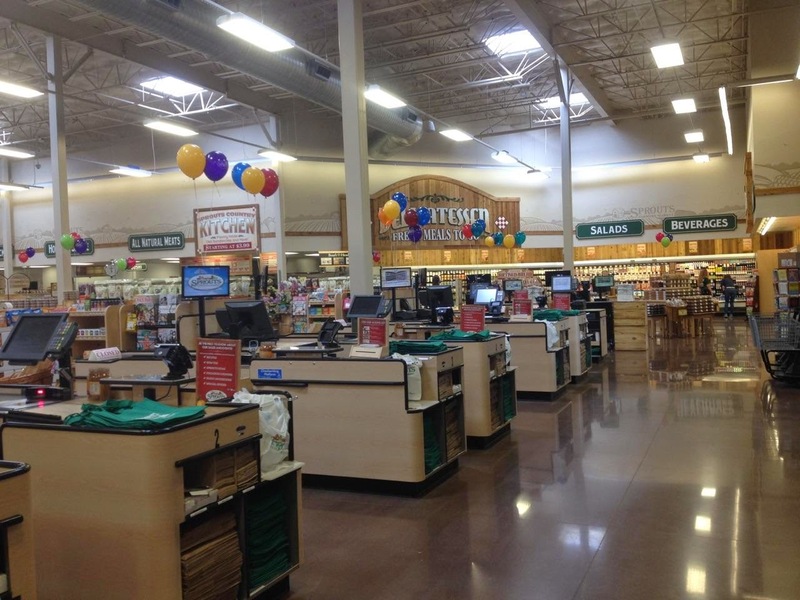 Sprouts offers customers an affordable and eco-friendly alternative to traditional paper or plastic bags. For every reusable shopping bag you bring for to pack your groceries, you receive a 5¢ rebate! "Like" Sprouts on Facebook, follow Sprouts on Twitter, and check Sprouts out on Pinterest and Instagram for exclusive offers and sweepstakes. 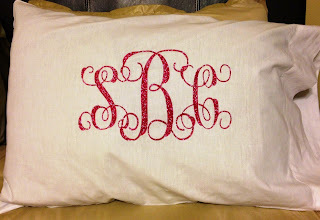 Custom Monogrammed Pillowcases $11.99 + More! Here's a look at a few of my favorite deals off one of sites Jane.com! Save 67% - $2.99 | Barefoot Sandals - 5 Styles! 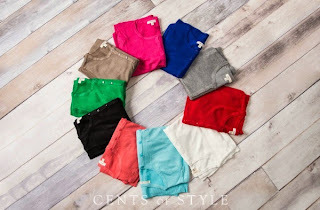 Save 61% - $12.99 | Tunic Super Sale - 5 Styles! Head over and browse around tons more deals from Personalized Bags, Decor, Kids Clothing, Women's and More! 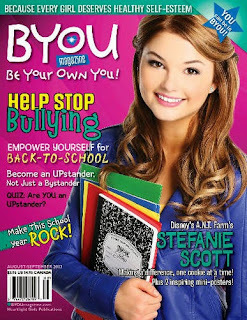 Get a 1 Year Subscription to BYOU - Be Your Own Magazine for $7.99 with code CITYMOMMY at checkout! Your daughter will enjoy reading uplifting articles that will encourage her to be the person that she wants to be. She will enjoy all of the fun ways that this periodical provides to her for building self-esteem as well. WOW! Here's a really great price! 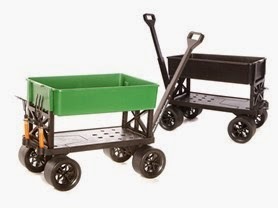 Today ONLY - Mighty Max Carts are $89.99 -$124.99! Designed to roll over sand, gravel, mud, snow, grass and hard surfaces such as sidewalks, streets, piers and concrete floors, these rugged wheels also work well indoors on wood floors, linoleum, tile and carpet. Ideal tools for home, office, warehouse, jobsite, recreation and sports activities. Today's #StyleSteals is this Regular &amp; Plus Size Spring Layering Cardigans in 11 different colors for $17.97 + Free Shipping with code CARDIGANS at checkout. These cardigans are of the highest quality, and are perfect to wear over a spring dress or your favorite tee for a more refined layered look! I love this deal, since I do the Cooking &amp; Grilling in our home. Head over and get this CooksEssentials 7-Piece BBQ Grill Pan with Removable Nonstick Plates for $34.98 (Retail $44). This summer, go beyond burgers and hot dogs with the Cook's Essentials(R) Nonstick BBQ Grill Pan. 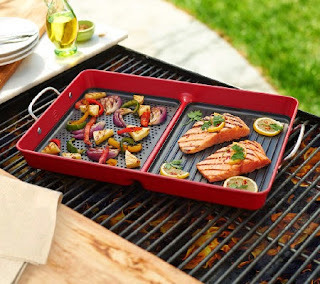 Just fire up your grill and place the grill pan--with any two of the interchangeable inserts--on top. You'll cook everything from shrimp and vegetables to roast chicken and sandwiches without worrying about food falling through the grids. Almost anything you can do on your stovetop, you can now do on your outdoor grill! 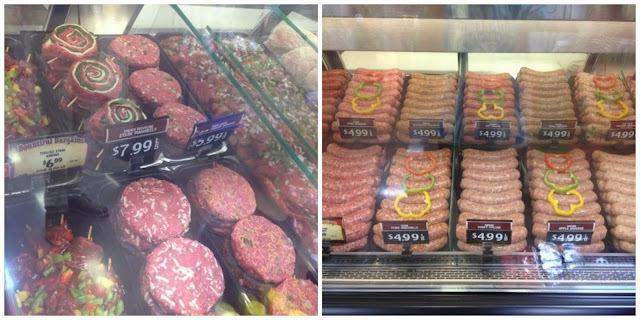 No matter what you've got cookin', you can infuse your meals with the delicious flavor that only grilling can provide--and right outside your door. But why stop there? The BBQ Grill Pan is a staple at any tailgate, campsite, or park. Plus, the nonstick coating releases food easily and makes cleanup a snap. Cook your whole meal outside--not just the burgers--with the easy-to-use Cook's Essentials Nonstick BBQ Grill Pan. New Coupons - Haribo, Hidden Valley Packets + More! Today these Disney Frozen Toddler Girl Cotton Tight Fit Short Sleeve PJs, 2 Sets are $9.50 (Retail $12.88). Available in 2T - 5T. These are selling out quickly. 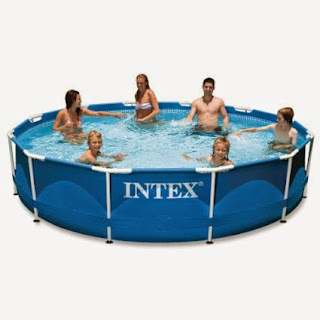 Today only you can get this Intex 12x30 Metal Frame Pool for ONLY $95.99 Shipped (Retail $180)! Relax this summer in your Intex Metal Frame Pool. Engineered for strength, this pool is supported by strong, durable steel frames which are powder coated for rust resistance and beauty.